​ ​SAN ANTONIO – The nearly 300,000-sf Highpoint Towers have been bought by Atlanta-based real estate company Richmond Honan. 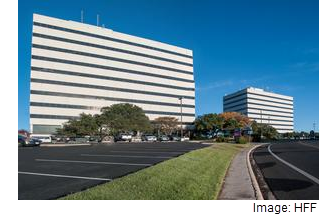 Built in 1983 and renovated in 2010, the two buildings are at 8401 and 8415 Datapoint Dr. The two ten-story office buildings were sold by San Antonio-based Redrock and equity partner Riverside Resources. Under Redrock's ownership, the buildings went from 63 percent to 95 percent occupied. The majority of the towers' tenants are medical companies. One click and no sign-ups!